…is the capital of the department of Côte-d’Or and the Burgundy region. 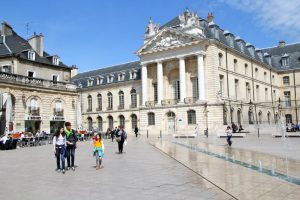 Dijon is the traffic, commercial and industrial center and location of the University of Burgundy, which was founded in 1722. The city is famous for its mustard and an important trading center for for Burgundy wines. Since 1966 a 97-acre area in the historic center was classed the largest historical monument zone of France. 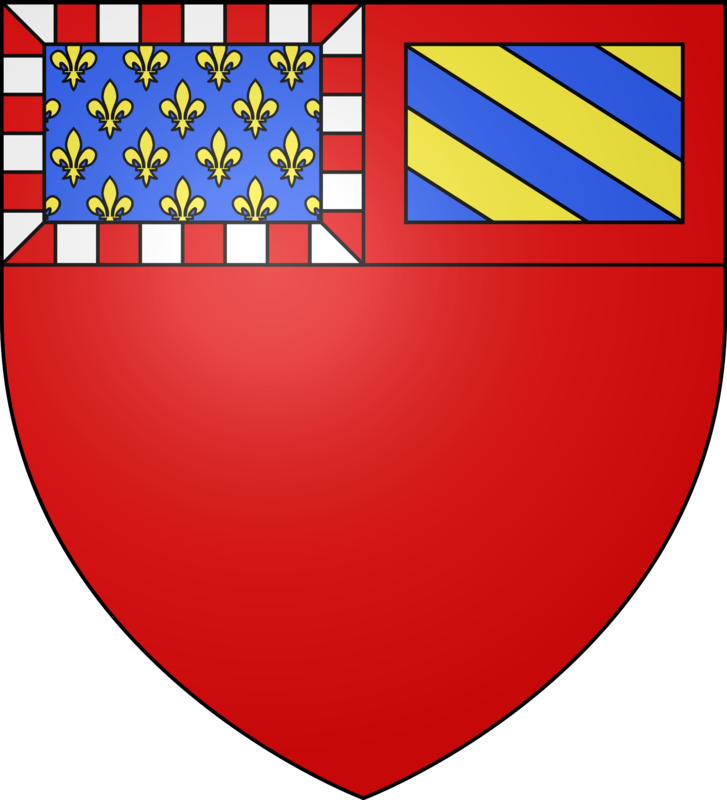 The town is located on the western edge of the Saône-level, about 45 kilometers northwest of Beaune. The town is situated at the river Ouche situated next to the Burgundy Canal, which connects the city with the river Saône. 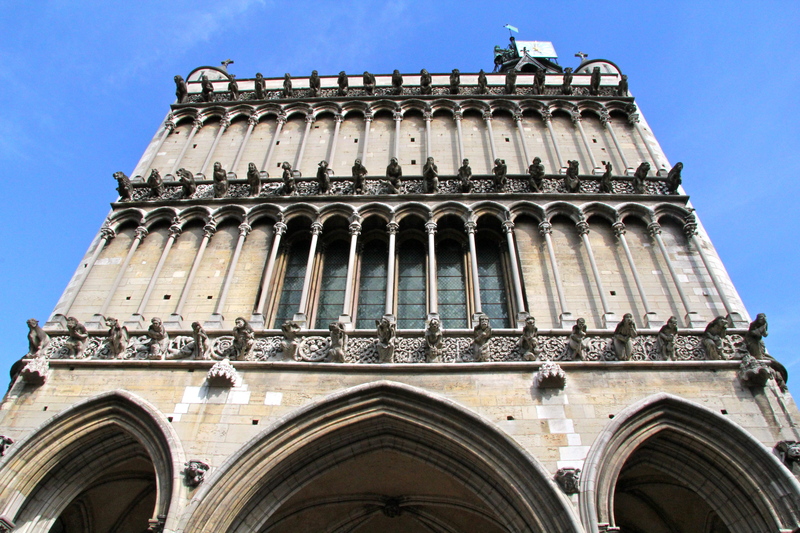 With the “Tour of the Owl” visitors can explore the unique and historically significant landmarks in the city. 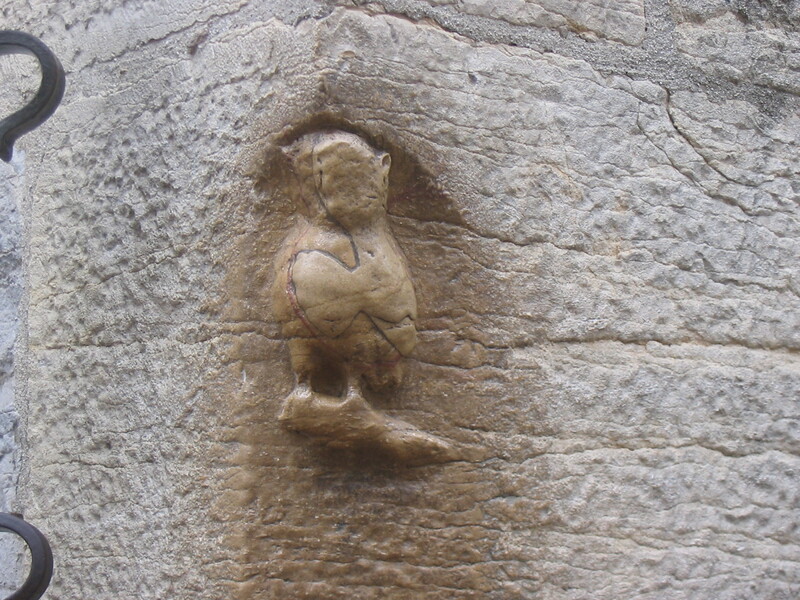 22 outstanding attractions are marked with in plaster embedded bronze plaques with the image of an owl. Heart of the city is the Palais des Ducs et des Etats de Bourgogne the Ducal Palace in the late 17th century, with its classic-cool facade. In this building of one of the most important art museums in France, the Musée des Beaux-Arts, is housed. It houses works of art from ancient Egyptian times up to the 20th century. The palace is dominated by the 46 meters high tower Tour Philippe-le-Bon from the 15th century – after the 316-step climb you will have a brilliant panorama. 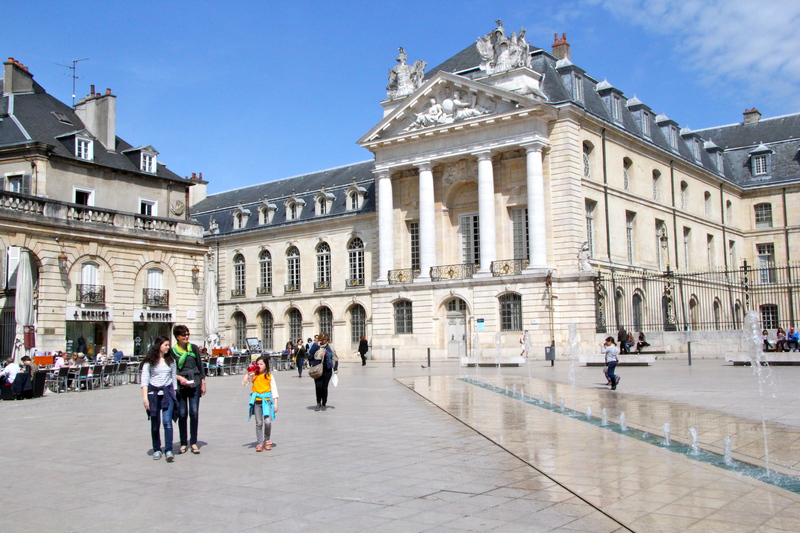 The semi-circular, colonnaded Place de la Libération, from the 17th century, forms the forecourt. In the area surrounding the Ducal Palace you will find beautiful mansions (Hôtels) from the Middle Ages and the Renaissance. A little further east, the road leads to the two towers of the Saint-Michel, which has due to its two hundred years of construction (around 1500) a peculiar mixture of Gothic and Renaissance style. It contains numerous works of art in its interior. 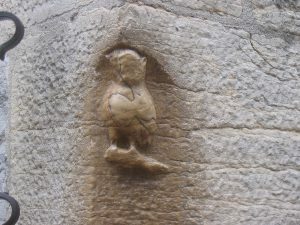 To stroke the owl – as with the left hand – brings luck, and that is why the small stone figure at the buttresses of Notre-Dame (13th century) already quite worn. Squeezed in between houses you will find the unique facade – with rich, Gothic statuary, mostly false gargoyles, which were carefully renovated by the restorers of the 19th century. The most precious possession is the Black Madonna church, Notre-Dame de Bon Espoir, from the 12th century – the patron saint of the city. The statue is one of the oldest wooden French Mary sculptures. One of the showpieces of the restoration of the historic center is the renewal of the market hall. Built in 1873 as per Parisian tradition, it was restored in 1993-95 in detail. Now Les Halles is a rich array of delicacies from cheese to forest honey and a lively meeting place. But the quarter of merchants and craftsmen is also an ideal area to stroll between half-timbered gables, bay windows and circular staircase towers. The archaeological museum, which you find in the surviving monastic buildings of the former abbey of Saint-Bénigne, is rich in Celtic, Roman and Merovingian finds. Under the adjacent Gothic cathedral Saint-Bénigne of the 13th century, are the remains of at least two older churches, the spacious crypt of the earlier building from the 11th century and the martyrs grave of the apostle of Burgundy, Saint Benigno. The abbey church of Saint Bernard has a magnificent Italian Baroque interior and contains a museum of sacred art, the Musée d’Art Sacré. In the former convention buildings you will find the museum Musée de la Vie Bourguignonne. It presents a collection of Burgundian rural and urban life from the everyday life of the 18th to the beginning of the 20th century. Highlight of the exhibition is a street line with original furnished shops from former Dijon.